I've set C#, JS and such as my tags of interests. Java isn't there, no Ruby-on-whatever neither. Nevertheless, most of (and some days all of) the ads are about the non-tagged technologies. How can I control what's shown to be inside a certain job banner? Until recently, you could not. The advertisements were only personalised towards your location, and your Stack Overflow favorite / ignored tags are not taken into account. Recently, things have been improving however. Now advertisements are targeted at specific tags and interests, but the targeting is not customisable from the Stack Overflow user's end *. If your Stack Overflow account is linked to your Careers account, then adding tags to your dislikes field in your Careers profile will be used to filter out job ads shown to you on Stack Overflow; this gives you at least some control over what is being shown to you. Otherwise, I'd just ignore the advertisement box. It is only in the sidebar, after all. * Well, you can opt out from the data collection to stop all targeting. On that same page you can download the data set Stack Overflow has collected on you so you can see why you get certain job ads target at you. Not the answer you're looking for? Browse other questions tagged support jobs advertising . 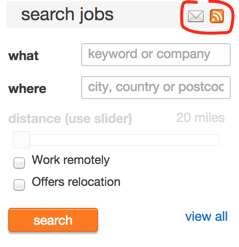 Does the “Looking for a job?” widget follow a “profile-based algorithm”? Is SO monitoring its users and adapting ads based on that? Stack Overflow Careers - How about linking the favorites to this?